There are many important tasks that we take on whenever we work with the family of a future college student – but one of the overarching goals that we have for each and every aspiring young person is to allow them to complete their college education without incurring student debt. It is not an exaggeration for us to state that accomplishing this goal for a new college graduate can literally alter the financial trajectory of their young lives as they begin their pursuits and professions as adults. There is no question that student debt is increasing to staggering amounts for an enormous amount of college students – often the case whether these students graduate or not, remember, because the debt does not disappear if a student drops out of college – and this can have a sobering effect on young people who are just getting started in life. We focus on this because we have seen how proper planning with regard to the financial aspect of college preparation can save both college students and their parents from incurring unnecessary debt, even at “expensive private schools.” A debt-free start to a career post-college is quite seriously one of the most important advantages that we can offer to a young person, and it is becoming less and less frequent these days. College debt is now being viewed by far too many people as a “normal part” of the educational process, and far too many families think nothing of racking up tens of thousands of dollars (or even more than that!) in pursuit of a college degree. We could not disagree more! There ARE ways to avoid college debt, and doing so allows for a freedom and a brighter future that is sorely lacking for many new college graduates these days. Because of the importance of this task, we have decided to devote this month’s newsletter to some of the many opportunities and strategies that we employ wherever and whenever possible to specifically help students and their families avoid student debt while they complete their years of higher education. Of course, the individual situations can be extremely different for each family, depending on a vast variety of considerations, so when it comes to avoiding college debt there is really no better partner than a college funding advisor… your resident expert on all details related to the management college costs. There is something to be said for all of those students who take the initiative to work during the summer vacation – or even during the school year in some cases – in order to save up money for their future college education. Perhaps surprisingly, aside from obviously applauding their excellent work ethic and forethought regarding college preparation, the other thing that is to be said is: BE CAREFUL! Yes, even with something as seemingly benign as saving money for college, students need to be aware and recognize that they really need to obtain good advice and keep a close eye on their savings. This is because there are actually strict federal limitations on the amount of money that a student can earn and put away toward college before it begins to adversely affect their eligibility for college financial aid! There are many, many good things that can come from being willing to work and save for college. The lessons that can be learned from that experience can play a huge role in their future successes later on in life. But we urge you to confer with a qualified college funding advisor so that you know how much of their hard-earned savings can go toward college, so as to avoid disappointment later. Student financial aid sometimes can get a bad reputation in some circles when people only focus on the student loan side of things. Well, as we mentioned above, student loans for college are something that we very purposefully aim to avoid! However, it is important to understand that there are many different elements to student financial aid and they are NOT all detrimental to the future money management of a young college student. Without sugar-coating things, student loans are, quite simply, loans… which means that these funds need to be paid back after college graduation (with interest, as well). The fact that student loans are so prevalent in America does not in any way mean that they are a good idea! In July federal student loan rates will increase to 5.05% for undergraduate loans and 7.6% for the parent plus loans. On the other hand, student aid in the form of grants are what we like to call «free money» because they DO NOT need to be repaid after graduation. Grants may be given to a student for a variety of reasons ranging from financial need, to the encouragement of higher education among certain groups, to students who are service veterans, etc. The amount of money can vary, sometimes substantially, but regardless, they do not need to be repaid! Scholarships are another – perhaps better-known – form of «free money» that are offered to a student directly because of his or her high performance and/or promise in academics, athletics, the arts, or other areas. Like grants, they also can vary in size from relatively small sums (which still look great on a resumé, by the way) to the so-called «full-ride» scholarships which cover all – or nearly all – costs! While grants and scholarships are great, and it is gratifying to receive one or more of them, the simple fact is that most students will find that it is NOT possible to fully fund their college education based on these sources of « gift aid ». Because of this, it is extremely important to look at all of the college funding options available in order to avoid racking up student debt during the college years. Some students are scared away from «Work-Study» programs either because they are afraid that they will have no life away from class and an on-campus job, or because they have heard some (usually unsubstantiated) rumors about students being forced to work at terrible jobs at their college or university. In actuality, there can be some truly inspiring and exciting options available to students who are willing to look for them. Work-Study is a program that offers students financial aid based on their willingness to work on campus in some capacity. Students who start the process early enough can find work options in departments that are of great interest to them, which can lead to experience in their area of study, not to mention valuable working interactions with faculty members and professors. Even those who come later to the process and accept more menial positions will often find that the hours are flexible (or sensibly planned) and that a part-time job can be a great opportunity to have a regular, temporary escape from the stressors of college… and one that helps to keep them out of student debt, to boot ! One of the most important ways for students and their families to avoid student debt is by implementing a solid and well-thought-out financial plan – preferably as early as possible – with the insight of a college funding advisor. A college funding professional can help with all aspects oft he college application and funding process, including the optimized planning of financial decisions – because remember, these decisions, many of which will not seem to have anything to do with college at all – will directly affect aid determinations in the future. 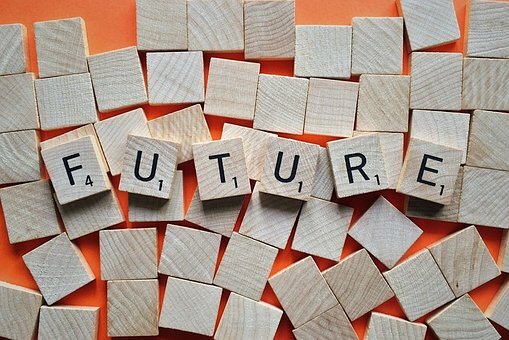 Determining a timeline for college applications and admissions can also help with the overall (and ever-increasing) cost of the admissions process, and a similar timeline covering major financial decisions and management can literally save families thousands of dollars within a very short period of time. Because of this, we always recommend seeking insights from someone who knows all of the details surrounding the college process best, and someone who specializes directly in these areas. We have seen it pay dividends and assist in the fulfillment of college dreams time and time again, so there is no question in our minds that it is an important step to take. We certainly urge the families of future college students to begin early with this all-important process, regardless of current circumstances ! Now, some of the details in this month’s newsletter regarding the avoidance of college debt could apply directly to your family’s finances or your student’s circumstances. By the same token, others may not. For more personalized details, of course, we are pleased to provide individual help that is tailored to your needs, as well as the future academic pursuits of your high school student(s)… wherever they might lead. While we are quite proud of these monthly newsletters, the simple fact is that the newsletters are far from the ONLY way that we reach out to help the parents of college-bound kids when it comes to the nuts and bolts of financial management for higher education. Another popular option for many parents involves attendance at our live College Funding Workshops, which are delivered by some of the best college funding professionals around. These presentations are specifically tailored to the needs of parents who are seeking a greater understanding of the often-confusing financial preparations for their child’s upcoming efforts in higher education. We are also proud to report that the information provided at these workshops is up-to-date with regard to any of the yearly changes in college funding requirements, because we stay right on top of these details each and every cycle. Our workshops are offered without any attendance fee or obligation for those who attend, but we do require a reservation in advance in order to manage our logistics and keep the attendance to a reasonably sized group. To receive more details about any of the upcoming College Funding Workshops scheduled near you, simply place a call to our helpful workshop staff members. You can reach them by dialing 614-934-1515. They will be able to help with details about times, dates, locations, or any other questions about upcoming workshops. They will also be happy to assist with reservations, of course. In addition, we offer a key report that is published for parents seeking the vital information about optimal preparation for future college funding. Our report is called “Nine New Ways To Beat The High Cost of College” and our team is instructed to mail it to parents free of any cost or obligation – just like the workshops. If you would like your own copy of “Nine New Ways To Beat The High Cost of College,” contact our staff at 614-934-1515. It will be our pleasure to send one to you directly.